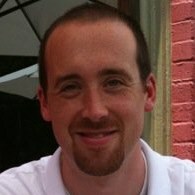 I'm a Kansas City based Android/.NET developer that is results-driven, goal oriented, and client centered. 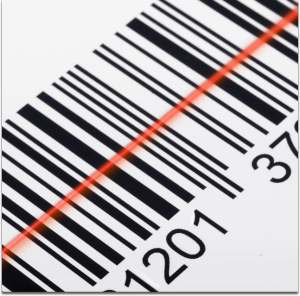 I have closed and open source projects encompassing automotive, health, and barcodes. Lets scroll to learn more about me. I am just a fun loving family guy that enjoys getting no sunlight and 'coding through the night'. The stereotypical geek in a closet with big ideas. Focus on distributed computing and artificial intelligence studies during the course work. • Worked on a project to extract facial features from a database of photographs of known emotional expressions to define emotional states based on feature placement and relation. Primary programming languages were C++, Assembly, and C#. • Participated in the ACM programming contest annually. • Served as ACM chapter president. • UT Faculty Scholar (May 2003). Native Android development in Java with an agile team for a rapid deployment of a new product to interface with a RESTful API. Managed team resources, and developed the framework for the team’s processes at the same time as writing solid code to meet deadlines. Other skills used at this position are peer code reviews, Git repository management, general code maintenance, architecture and design. Build environment configuration (Jenkins) and policy management. Java service debugging and development. Scheduled, coordinated and delivered care for complex patients in a 16 bed ICU. •Worked with an interdisciplinary team to coordinate and organize care plans for the needs of the unit's patient population. •Delivered patient care to patients with varying degrees of complex disease processes. 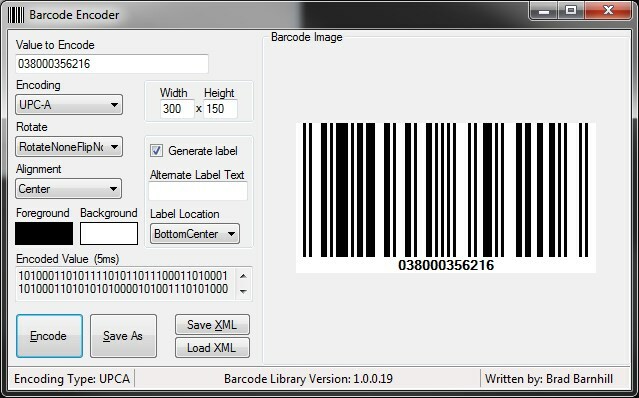 This library was designed to give an easy class for developers to use when they need to generate barcode images from a string of data. 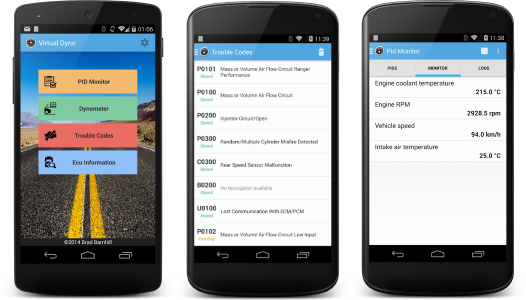 Use software to log your cars data? Wonder how much horsepower and torque your car puts out? Look no further because Virtual Dyno does this for you in an easy to use interface, and without copying and pasting your data into an excel spreadsheet. 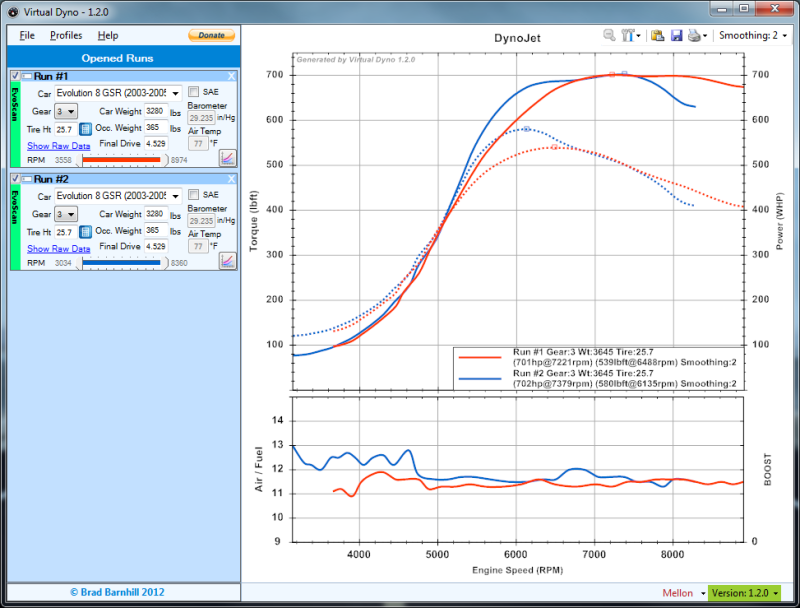 Quickly and easily save pictures of your dyno graphs to post on forums, email to your friends or compare with others. 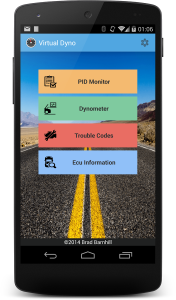 This project encompasses the mobilization of the Virtual Dyno project that was done previously. Simplification of the user interface for mobile consumption and the ability to record its own data will be a part of this project. Brad focuses on not only the maintainability of a product, but moreso on the user's experience with it. In doing so a product he's involved with will be left the better for everyone who has stake in it. Brad Barnhill's strength is that he cares about all the details of his work equally vehemently. Small issues like incorrect keyboard tab-key order in a user interface, or a slightly inefficient database query, although at opposite ends of the software spectrum, do not escape his scrutiny. If you feel the need to get in touch with me about work, help or just life in general. Fill out the form below and I'll email you back as soon as possible.